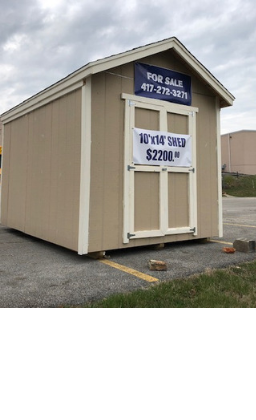 Gibson Technical Center is selling this storage shed built by students in the construction program. It is 10x14 with eight-foot walls and 2x6 rafters. There is a 2x10 built-in shelf inside and Advantech flooring. We are selling it for the price we paid for materials, $2,200. Please call 417-272-3271 for more information.